Don Grady played Robbie Douglas the dimpled-chinned son on My Three Sons, a hit sitcom on television from 1962 to 1970. He also was a Walt Disney Mouseketeer at 12, on the original Mickey Mouse Club. According to a reporter in Hollywood, Grady died in Thousand Oaks, California following a long battle with cancer. Grady was 68. 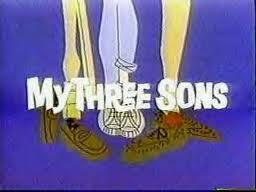 My Three Sons started on ABC before it moved over to CBS. The show was squeaky clean, looking for the gentle laugh. Fred MacMurray played the father in the show, who was widowed and easygoing. Another well-known actor on the show was William Demarest who played the well like character Uncle Charley. Grady was the middle of three sons on the show, with the other two played by Stanley Livingston and Tim Condidine. In the show’s final season, Robbie, the character played by Grady, was written out of the show. Grady grew up in Layfayette, California the son of a salami maker. In the first few years following the series, Grady recorded an album under the name Don Agrati, his real name. He also formed a trio and toured colleges playing jazz. He briefly returned to acting in Pippin on a national tour and in a number of off Broadway musicals. Grady was a musical prodigy who learned eight musical instruments prior to his teens. He became a successful composer and worked in his own studio. He composed The Phil Donahue Show’s theme song. Grady is survived by Ginny; his second wife; their two children Tessa and Joey; and Mary, his mother.